Windows 7 phones continue to fight for market share even though many users like them more than they do Android, Blackberry and Apple phones. 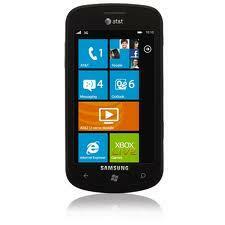 Media attention focused on other smart phones often pressures shoppers toward them and away from Windows 7 phones. Those who need a new phone should consider the powerful choices made possible by Microsoft and its latest mobile operating system. Shoppers should keep their eyes and their minds open for one of the 8 Windows 7 phones listed here. They come from leading wireless carriers and have access to mobile broadband packages. An easy-to-use Windows 7 phone, the Samsung Focus comes without many bells and whistles, but it does have a brilliant four-inch display featuring the company’s Super AMOLED technology. The display and one of the best cameras in the market appeal to customers, making the Focus one of the most popular Windows 7 phones. The HTC HD7, billed as one of the best entertainment machines that run the Microsoft operating system, earns its claim to fame from its huge 4.3-inch display. While perfect for gaming, its kickstand lets users watch hands-free video with ease. Dolby sound, a 5-megapixel camera, and 16 GB of memory. 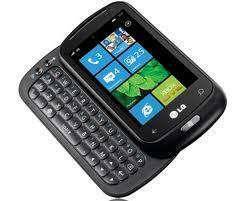 Perhaps known more for making smart phone screens than smart phones, LG makes one of the best Windows 7 phones around. It has a slide-out keyboard, good battery life and a 3.5-inch touch screen. It also has a fast 1 GHz Snapdragon processor and has received accolades for its solid construction and no-nonsense features. As one of the top names in smart phones, HTC has multiple models competing for the hearts and minds of mobile Microsoft users. With good mobile broadband packages, this phone also boasts a sliding keyboard like the HTC HD7, except that this one tilts for economic comfort. 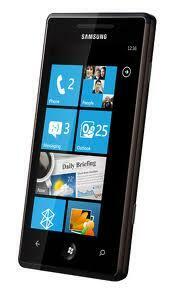 This Windows 7 phone has an ample 3.6-inch touch screen display, awesome call quality and exceptional battery life. Powered by a 1 GHz Scorpion processor, the LG E900 comes with powerful features and the classic Windows 7 phone interface. Also known as the Optimus 7, this handset differs from others by having physical buttons on its front. Renowned for its high quality construction and reliable operation, Windows 7 phone users can’t go wrong by choosing this handset. The Omnia 7 from Samsung puts your life in motion with a powerful Windows 7 phone. Being a Samsung, this handset features super-bright AMOLED technology in its display. It has enjoyed great popularity all around the world. One of the most unique phones on the market, the HTC Surround, has a sliding speaker rather than keyboard. It surrounds users with high quality music, complete with Dolby Mobile. Although it gets good grades for its blaring audio, the Surround also rates high on the popularity list for its long-lasting battery, superb call quality and awesome 5-megapixel camera. The HTC Trophy runs the Microsoft operating system with all its features, including Xbox Live. Its Zune-powered hub for music and video keeps users entertained while the Office Hub keeps them productive. 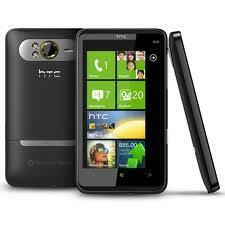 Those who like speedy online access will likely enjoy HTC quality while using this handset. 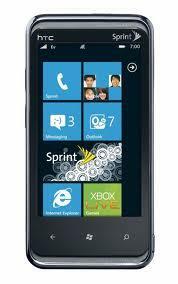 Shoppers should look for these and other Windows 7 phones with mobile broadband packages when looking for a smart phone. Their features and power will surprise many who don’t realize these exciting phones exist. A guest post by Spencer Hogg from the Broadband Expert website where mobile broadband packages can be compared.